On November 29, a presentation on ICAAS scientific activities as well as amino acids regulations in the USA and European Union was made by Dr. Miro Smriga (ICAAS, CEO) in Lima, Peru. 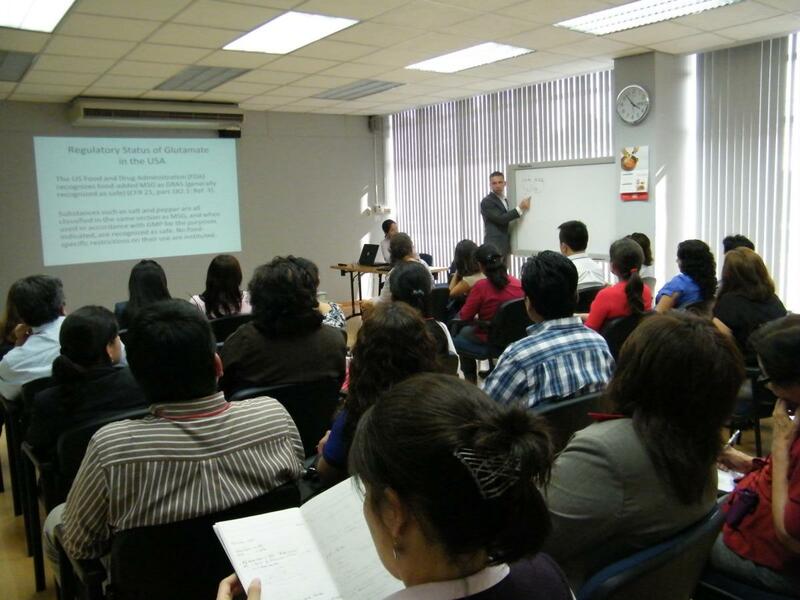 Thirty-five participants from the Peruvian food industry and the Ministry of Health of Peru attended the 1-hour-long presentation.Questions ranged from intake pattern of various amino acids to quality control of both food additives and amino acids in supplements. Some participants also debated the effectiveness of branched-chain amino acids and arginine in health and disease. Several participants expressed interest in the value of essential amino acids to improve value of protein nutrition in rural areas of Peru.